Using an at home colourant is always a gamble, you never quite know what you're going to come out with. To try and eradicate some of the harsh yellowy/orange tones in my hair, I decided to dip a shade darker. A few months ago I saw the gorgeous Victoria's Secret model 'Karlie Kloss' sporting a super gorgeous honey blonde hair shade in her promo as spokeswoman for the L'oreal Paris 'Prodigy' hair dyes. It turns out that the shade she sported was 'Camel' and I knew that I had to give it a go. The Prodigy hair dyes sit at the top of the home hair colourant market at £7.99 available at Boots and Superdrug. The dyes are ammonia free and aim to blend natural tones through your hair. 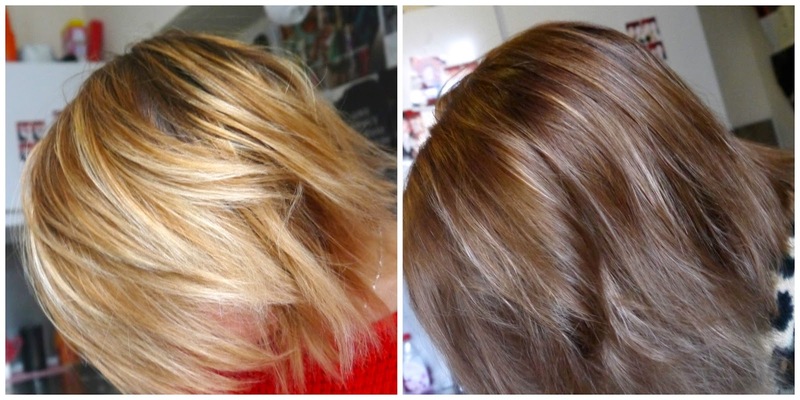 The picture above was taken straight after colouring my hair and has since lightened up wash by wash, a lot of the lighter blonde I had in my hair is blending through giving me a gorgeous warm, beachy shade, perfect for the warmer weather.